Forget the carpool lane. Deer, bears, wild boar and even crabs are commuting in style, with “eco-bridges” popping up on transportation agendas around the world. While the concept of these eco-bridges, or wildlife crossings, isn't exactly new (The Netherlands has been credited as an early pioneer), they are gaining popularity with transportation officials and environmental activists. 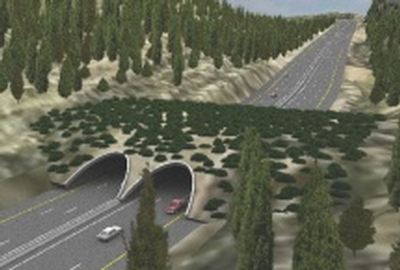 A new roadway being built in Israel will contain an "eco-bridge" that will allow wildlife to flourish in the area. The bridge, 70 meters wide, is being built over a section of Highway 1 between Jerusalem and Tel Aviv. Narrow and winding, this section of the road is prone to accidents. Israel's Ministry of Transport announced its plans to build an eco-bridge as part of major upgrades planned for Highway 1. The Ministry of Transport announced significant upgrades to Highway 1 in 2011. The project includes widening the road to three lanes in each direction; digging two 650-meter-long tunnels under the Harel bridge; building two 800-meter bridges to replace the dangerous Motza curve; and other improvements. The entire project is expected to cost around NIS (New Israeli Shekel) 2.6 billion (about $715 million U.S.). "The new 16-kilometer section of road we are developing will solve the commuting and transport needs of Israelis for decades to come," said Transport Minister Yisrael Katz, Israel National News reported. Eco-bridges are being built in countries around the world to protect a variety of wildlife, as well as humans. Crab migration in Australia sends millions of red crabs over roadways each year. 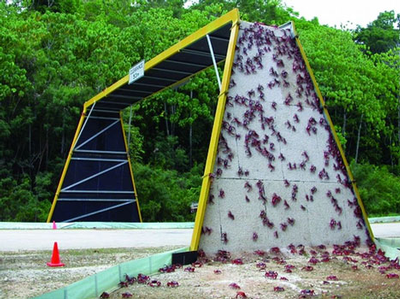 On Australia's Christmas Island, the peak of migration for red crabs has led officials to build crab crossings, crab bridges, and crab underpasses. 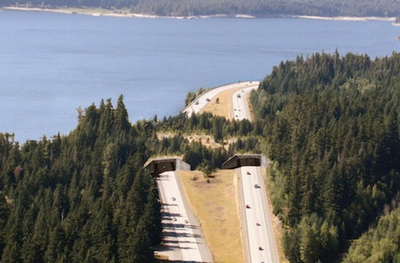 In the United States, Washington State officials plan to finalize a design for the state's first wildlife overcrossing in 2014. WSDOT officials are offering a $1,500 scholarship to the high school student who develops the best wildlife overpass design. An eco-bridge near Keechelus Lake could be built in the second phase of ongoing improvements to a 15-mile stretch of I-90, officials say. State Department of Transportation officials have announced a scholarship competition for high school students. The junior or senior who designs the best wildlife overpass will receive $1,500.